China offers a host of vacation opportunities, which is why so many people visit. 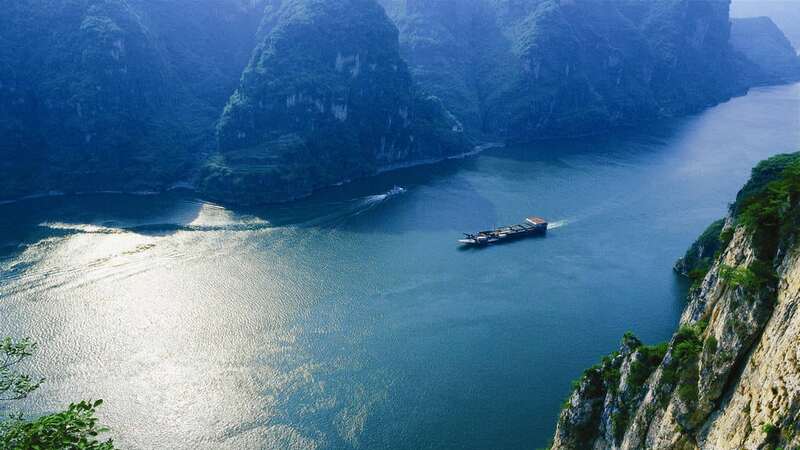 However, one of the most spectacular experiences of all is a trip down the Yangtze River to the Three Gorges that includes Qutang, Wu, and Xiling. Sailing on a beautiful cruise ship is exhilarating, a great way to see the beauty of China while learning about its rich culture and history. Each of the destinations for the Three Gorges is unique and stunning but Xiling Gorge is without doubt the most incredible. This gorge is well known for its peaceful streams, karst caves, and natural springs. The Xiling Gorge is also known for being the place where a multitude of poems was left by people such as Bai Juyl and Qu Yuan. Interestingly, this location for the Three Gorges is comprised of several smaller gorges named The Ox and Horse Lungs Gorge, The Military Books and Precious Sword Gorge, and Lantern Shadow Gorge, known as Niugan Mafei Xia, Bingshu Baojian Xia, and Dengying Xia respectively, and Kongling Gorge. The Xiling Gorge also boasts challenging shoals called Xintan, Xietan, Konglingtan, and Qingtan. While there, you can spend time exploring the Three Travelers’ Cave and Huangling Temple, both historical landmarks. Another one of the Three Gorges you would visit while sailing the Yangtze River is the Wu Gorge, which is treasured for its beauty and elegance. This particular gorge winds 25 miles, beginning at Daning River and ending up in Guandukou. The Wu Gorge is comprised of smaller gorges to include the Iron Coffin Gorge, the Golden Helmet, and the Silver Armor Gorge. Also called Da Xia, which translates to “Large Gorge”, the Wu Gorge is one of the most fascinating of the Three Gorges with unusually shaped peaks and rocks. The canyons are long and the crevices deep, blocking out much of the day’s sunlight. Because of this, a fog phenomenon occurs when droplets of moisture in the air are slowed due to lack of sunlight. The result is an eerie look and feel, which only adds to the experience. 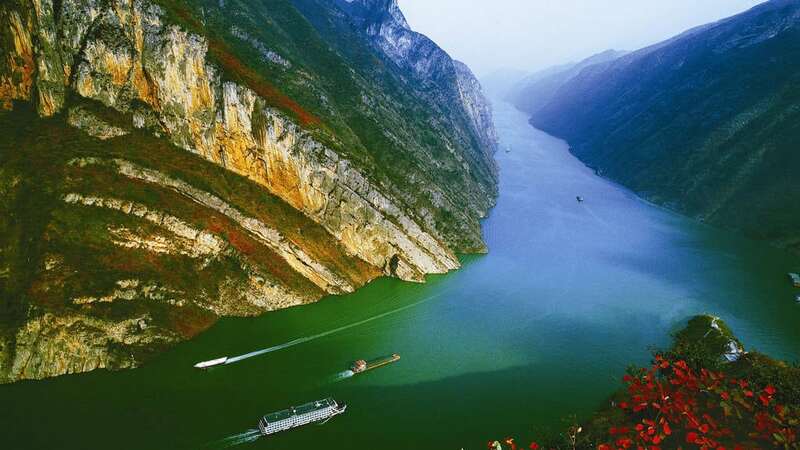 The Twelve Peaks of the Wu Gorge also make this a wonderful visit when sailing the Yangtze River to the Three Gorges. These peaks bank the water, each prominent, strong, and boasting an interesting legend. You will also find the Three Little Gorges, which is another great place to visit, as well as the Kongming Stele, a magnificent historic relic. Finally, the Qutang Gorge is the last gorge that makes up the Three Gorges and the shortest. However, while this gorge might be small, it is the most majestic. Mt. Chijia and Mr. Baiyan soar over the water, creating the appearance of an ancient gate made of natural resources. 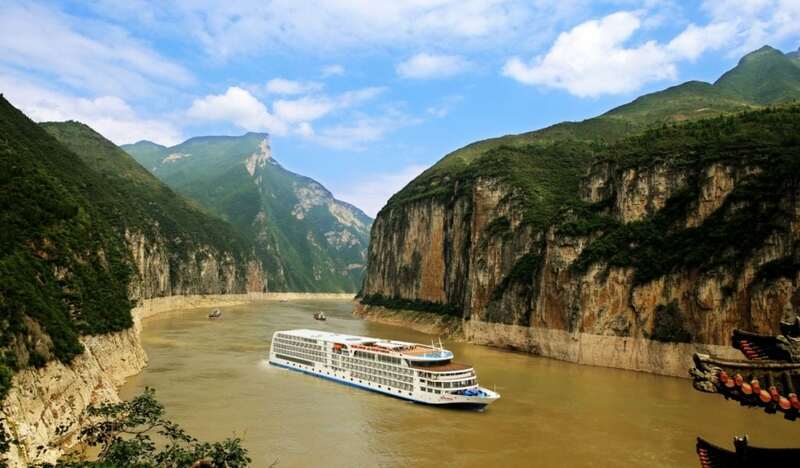 The Qutang Gorge has fast-moving water and it is very deep, yet the passageway is narrow, which is why choosing a qualified cruise company is important. Whether spending time in and around one particular gorge of the Three Gorges or taking a leisurely cruise through all, you are in for the experience of a lifetime. The natural beauty of the entire area is stunning and along the way are numerous ancient cities that represent the rich culture and warm-hearted people of China.